We accept Mastercard, Visa, American Express and Discover as well as Pay-Pal. Transactions are secured by Network Solutions and Buy SAFE. We absolutely Guarantee every product that we sell. MRO features an absolutely hassle free return policy! We take your trust very seriously! Please be aware that this does happen and is a natural occurrence in the world of retail. Mad River Outfitters offers a wide variety of brands both in our retail store and online. If you do not find what you are looking for, please contact us and we will special order from our fine vendors. Mad River partners with the following experts. Monday, Wednesday and Friday: 10:00 a.m.- 6:30 p.m.
Tuesday, Thursday: 10:00 a.m.- 8:00 p.m.
Stay current on what is new. 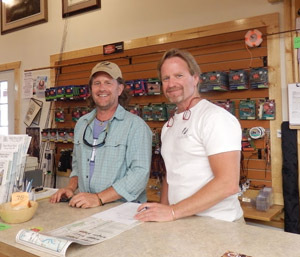 Mad River Outfitters absolutely guarantees that we will be honest, fair and always looking out for your best interest. This is true whether you are shopping with us in person... here on the web....or traveling with us to some far off destination. We have built our reputation on customer service. We also absolutely Guarantee every product that we sell here on the internet or out of the shop! If you are not satisfied with a product, service or anything that has to do with Mad River Outfitters....ever...please let us know and we will do our very best to help. We really want your experience with us to be a good one! No questions asked! With vendors like Orvis, Patagonia, Filson, Barbour and the like....it's easy to stand behind the products that we sell. We would also like to thank those vendors for supporting us and making the job easy when it comes to customer satisfaction. If you need to return an item for any reason- #1. simply follow the instructions that are provided with each order #2. Send us a quick e-mail, [email protected] and/or drop a note in the return package with the following information: Your name, Order Number, Item(s) and a quick note on reason for returning. These instructions will also be printed on the return/address form. Please note that if it has been longer than 30 days, we will need to contact you to get a credit card number in order to apply the credit. Please make sure that we get a good phone number in that case. Drop the item in the mail/UPS to us and that's it! We'll be looking for it! We will be waiting for the item and will issue an immediate credit to your credit card account or...... you may leave the money on store account for future purchases. If we don't hear otherwise, the refund will go back on the exact card used for the transaction. * If an item was not purchased via the internet....ie phone or.....the purchase was made more than 30 days previous, we will need to contact you to secure a means of credit. Once we process your return, we will make note on your "Customer Service Notes" and then drop your return/credit receipt in the mail. Non-defective, returned merchandise must be in re-sellable condition. If by chance an item that you have ordered from us is on Back Order, which means we are out of it or the vendor that makes it is out of it, we will alert you via e-mail, and your "Order Notes" in your customer profile, as soon as possible, and let you know an anticipated ship date if possible. Please be aware that this does happen and is a natural occurrence in the world of retail. You may keep the item on order and we will ship it as soon as we receive it, or you can cancel the order at any time. We will ship and charge the in-stock items as usual. A backorder report will also be included with your order as a reminder! Then, unless we hear otherwise, the backordered items will be charged and shipped once they arrive. * If the backorder item brings the order below the $25.00 Free Shipping mark, we will still offer the free shipping on the existing order and the backorder item(s) as well. We try to be fair as long as you do! ** Remember that no item is ever charged to your credit card/account until it is shipped! Please...if you have any questions, e-mail us or call us and we'll be happy to help and always remember to check your order notes! Just click on your name!